Lot Size: 9147sq. ft. 82ft x 105ft "Waterfront, Cul-De-Sac"
This property on the Championship Northern Meadows Golf Course, backs onto Bousquet Lake. Golfing. fishing, water sports and much more awaits your relaxed life style. The Property comes with the opportunity to buy a lifetime membership on the Northern Meadows Golf Course. Ask for details. 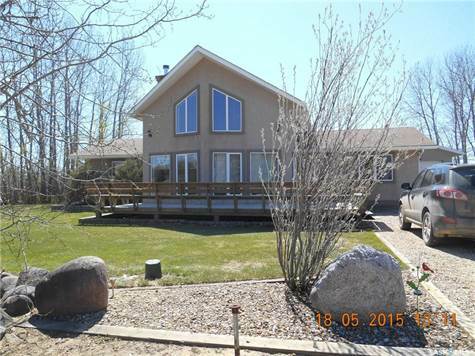 This year round retirement home is ready to move in and enjoy golfing, fishing and all that the Meadow Lake Provincial Park offers.